If you want quality you can count on, one of the best options is the new 2018 Nissan Murano. This incredible crossover has numerous features you can enjoy, but is it the best option? Find out in our comprehensive 2018 Nissan Murano review. If you’re looking for extra interior space and thrilling performance, there’s no better choice than a crossover. These versatile vehicles have a lot to offer all kinds of drivers in the Philadelphia, Lansdale and Doylestown areas with their surprisingly advanced tech and reliable performance. Crossovers are incredibly popular, however, so finding the right one for your needs can be challenging. 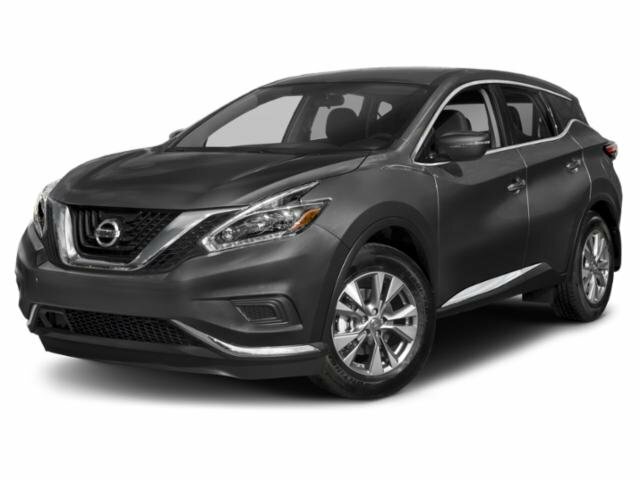 The 2018 Nissan Murano is more powerful than your typical crossover. It comes standard with a powerful 3.5-liter V6 engine capable of producing an incredible 260 horsepower and 240 lb-ft of torque. You’ll get the most out of that power with the Xtronic CVT transmission. Since it has virtually no gears, you can always enjoy RPM ideal to your current driving situation. With advanced transmission like that, you can also enjoy fuel economy uncommon for a vehicle with a V6 under the hood. You can enjoy an incredible EPA-estimated 28 mpg highway and 21 mpg city which brings it to an impressive combined 24 mpg. Crossovers wouldn’t be too impressive if they didn’t have roomy interiors. The Nissan Murano has plenty of room for five passengers to sit comfortably. You can enjoy 39.9 inches of headroom and 40.5 inches of legroom in the front. Your rear passengers have plenty of room as well with 39.8 inches of headroom and an impressive 38.7 inches of legroom. Enhance your comforts even further with zero gravity seats available for the front and the back. If you’re more interested in carrying cargo, there’s plenty of space available. Fold the rear seats down, and you’ll have access to 69.9 cubic feet of cargo space. Folding the rear seats is easy too, as you just pull a lever in the driver’s area of the cargo area. With another simple pull, the seats will rise up again automatically. Customizing your interior has never been easier. A new crossover wouldn’t be complete without some of the latest tech, and the new Murano has plenty. You can opt for the Advanced Drive-Assist display which is a seven-inch digital screen located directly in front of you on your instrument cluster. It can display important information like turn-by-turn directions, fuel stats and more, so you don’t have to look away from the road to know what’s going on with your Murano. The Murano also includes Apple CarPlay and Android Auto connectivity. With these systems, you can connect your smartphone to your Murano and enjoy some of your favorite apps like music, calling, messaging, navigation and more. The NissanConnect infotainment system includes a plethora of other exciting features that will make your drive more exciting than ever. You can read about the new 2018 Nissan Murano all day, but the best way to understand everything this impressive crossover can offer is to experience it for yourself. Come down to Montgomeryville Nissan, and we’d be happy to let you take it for a spin. You deserve only the best when cruising through the Philadelphia, Lansdale and Doylestown areas, which is why our team is ready to show off every inch of this amazing crossover. Visit us or call 888-691-7270 to schedule your test drive today!